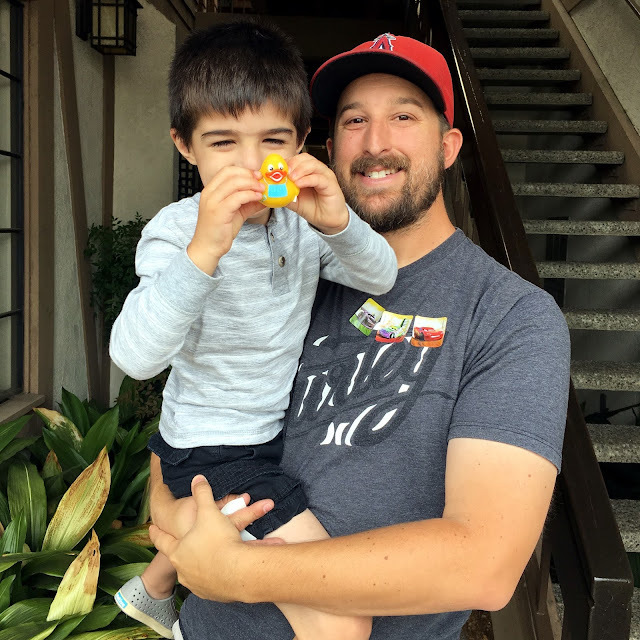 Chasin' Mason: Mason's First Visit to the Dentist. Mason's First Visit to the Dentist. Such an exciting title, right? I'm actually surprised you're still reading with that title. But since you are, THANK YOU! 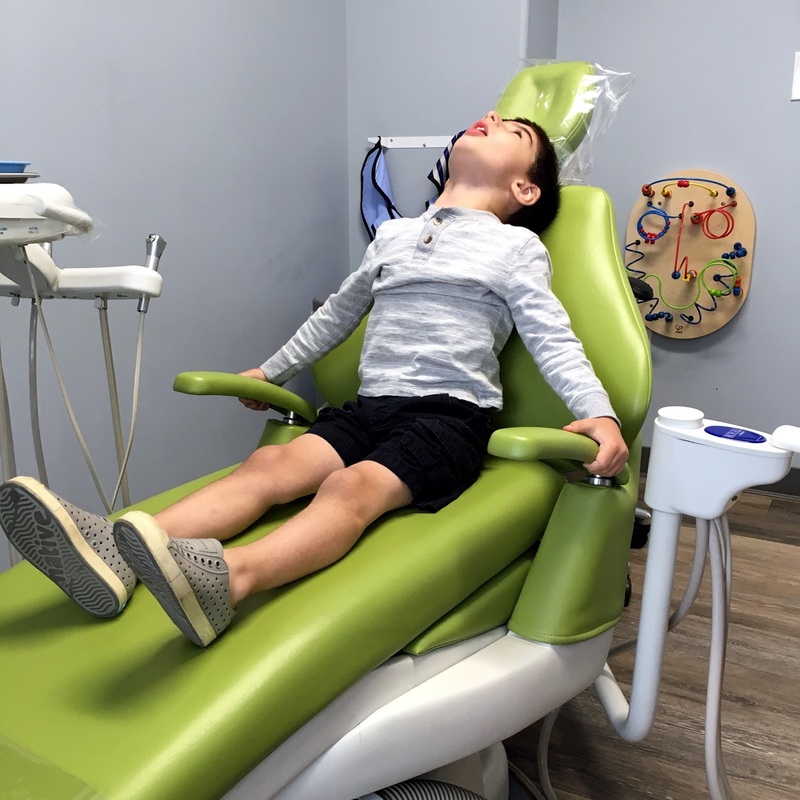 Ordinarily not a topic that necessarily needs a post to itself, I thought I would share our first experience at the dentist, as a mom of a child with autism. I don't normally try to think of Mason as any different than any other child, but the truth is, in certain situations, he is definitely different. Not in a bad way, but sometimes it just requires some extra prep. That being said, I totally failed in the prep department for this trip. I asked Mason a few times in the morning if he wanted to go to the dentist and he said "yeah!" but silly me should have realized that he's never been before (even with me or Seth) so he really has no idea what he is saying "yeah!" to. But let's rewind to before I even made the appointment. I literally had NO idea where to start to find a good pediatric dentist. My nieces have a dentist but that's only one recommendation. Plus, Mason's needs are different than theirs. I'm a part of a Facebook group of local moms with kids with special needs so I posted a question in the group asking where those moms take their kids to the dentist. There was an overwhelming response to the dentist that we ended up picking so I did a little research between him and the other ones that were given good recommendations and ended up picking this dentist. Upon first walking in to the office on Wednesday morning, I was impressed. The office was totally decked out in kids stuff. There was an aquarium, a TV, some of those wooden play structures with the beads that you push along the wires (I don't know what they are called but they're pictured below), tons of books, iPads strapped to the wall in cases so you could play games, and much more. It was pretty much a kid's heaven. I filled out the new patient paperwork and Seth played with Mason. Shortly after I finished, they took us back. When I called to set up the appointment, I had told them that Mason has autism. I didn't know if that mattered at all, but I just wanted it noted in his file, since I heard that the dentist was good with kids with special needs. As it turns out, it did matter because they allow kids with special needs to be in a separate room where they can have privacy and have quiet, away from the other patients, that way if another child is crying (for whatever reason), it doesn't scare them. I wasn't quite sure what to think of being in a separate room, away from everyone else, at first but after we were in there, I LOVED IT. 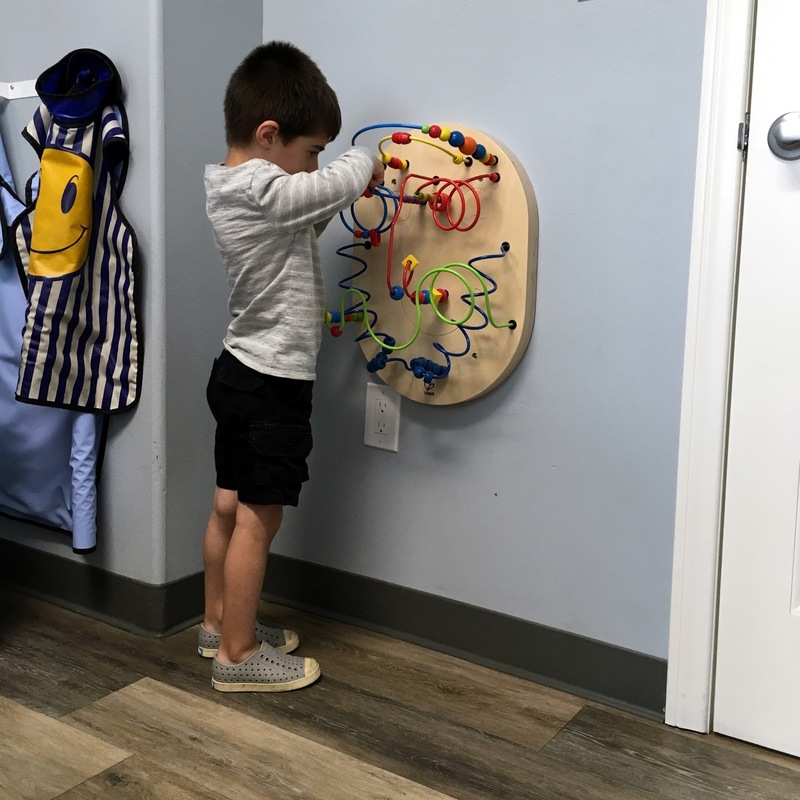 The room had everything that any other station would have - a chair, all the dental instruments, the counter with all the supplies, etc - as well as a TV strapped to the ceiling and another one of those wooden play things with the beads that you push around on the wires. 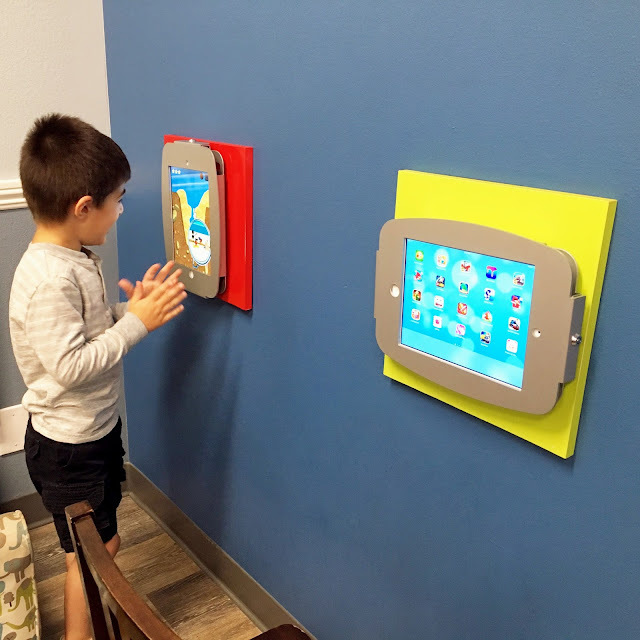 I'm not sure if all the other stations had that (I bet they did at least have TVs since it's a kids dentist), but I was happy the room had it as it kept Mason at ease and entertained. The dental hygienist had walked us into the room and everything was going well. I was even able to sit Mason on the big boy dentist's chair. He was calm. He was trying to figure out why the TV was on the ceiling and he was tilting his head back trying to watch it. The dental hygienist stepped out for a minute, I snapped a few pictures, and all seemed to be going well - WAY better than I imagined. She came back in and asked Mason to pick his fluoride flavor so she could clean his teeth. He pointed to chocolate. I told her we better not use chocolate since he doesn't even like to eat chocolate and so we changed to strawberry instead. At this point, he was still sitting on the chair. She told him she was going to lean the chair back so she could look in his mouth and he jumped off the chair as fast as possible. I tried to encourage him to stay on by telling him that he would be able to see the TV better if he laid down; that it would be as if he was laying on his bed or on the couch, but he would have none of it. He was scared, which was understandable. Seth sat in the chair and held Mason on his lap. He was still scared and wanted to get away as fast as possible. At this point (and please don't think we're terrible parents, I swear he was not being hurt), Seth held him down. The dental hygienist told Seth to hold his arms in one hand and his head in the other and she tried to clean his teeth. It definitely wasn't the easiest, and Mason was crying and screaming the whole time, but she was able to make her way in there and clean as best as she could. We let Mason down for a minute to relax and she tried to spray some water in his mouth, but he didn't want to, so we dropped it. A few minutes later she wanted to try flossing, so Seth had to hold him down again. He fought that too but she was able to get in there. Luckily he has spaces between most of his teeth (not huge, but enough) so the only teeth that really needed it were the back teeth. Flossing was done. We had made it!!! The dental hygienist stepped out for a minute and went to grab the dentist to come in for a check up. He was so, so good with Mason and played with him for a bit before trying to explain anything. He showed him that the beaded wooden structure on the wall looked like a face (there were wires for the beads that made up two "eyes", a "nose", and a "mouth" (it's all I see now (see above picture) but at first I had no idea!). 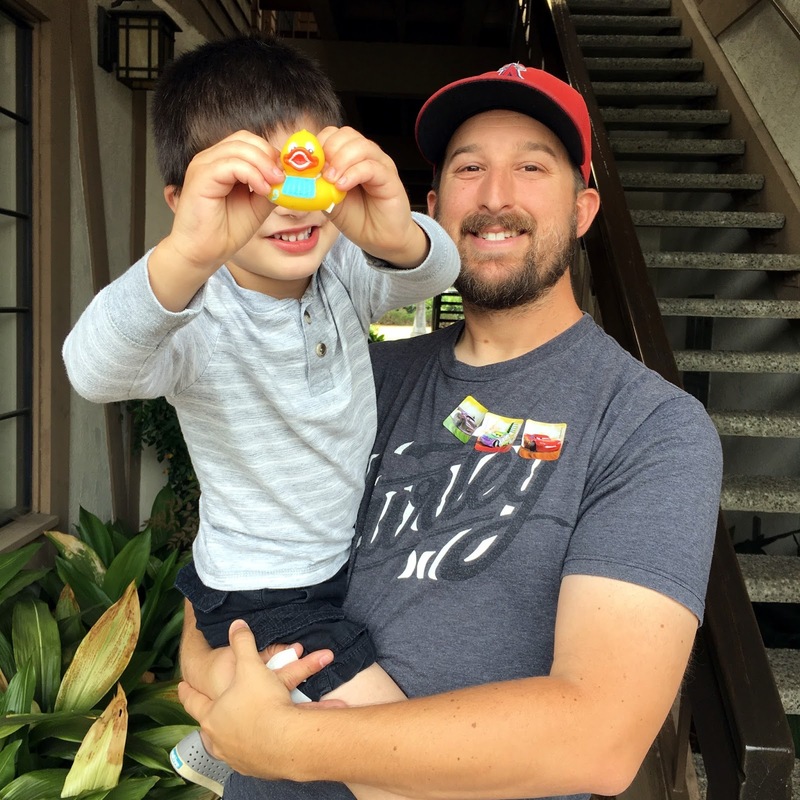 After he introduced himself to Mason, he asked Seth and I a little bit about Mason, mainly about the services that Mason was getting and what the ABA therapists were focusing on while working with him. 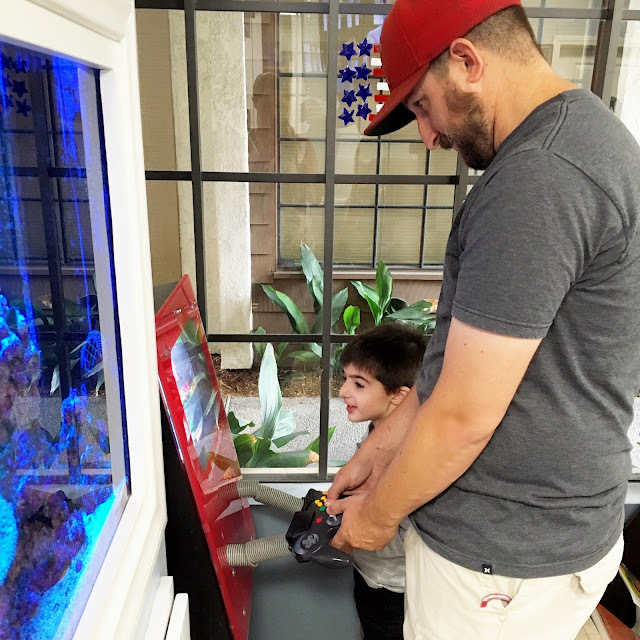 He was very familiar with the types of services that kids with special needs might get (like speech, OT, ABA, etc), which was really wonderful for me to hear. I immediately knew we made the right choice in choosing him as our dentist because he really understood us and Mason's needs. After he got some information from us, he took the bear "dummy" that he had and showed Mason what he would be doing to his mouth. He laid the bear down on his lap and opened the bear's mouth and showed Mason the mirror he would use to look in his mouth (and let him hold it). He explained in a way that Mason could understand what he would be doing with him. And then... he tried to do it. And Mason cried. Again, Seth held him down and somehow the dentist was able to look in Mason's mouth because as he was crying, he was still following the directions and opening his mouth. The dentist said that Mason's teeth look great, which is really good to hear! He asked if we were using toothpaste with fluoride, we said no, and he said we should start, maybe a couple times a week or every other day, just so he's getting a little bit of that, but use a VERY small amount, just in case he swallows it. He also recommended flossing, so I need to go pick up some of those floss sticks so we can practice. We thanked him for all his help, made another cleaning appointment for in 6 months, and Mason (and Daddy) were even so good that they got a cute little dentist ducky and some stickers for their bravery at the dentist! So, overall, if I'm being honest, my fear and why I waited so long to make Mason's dentist appointment came true. I knew in my mind that the appointment would not go well (maybe that's why it didn't?? I need to use the power of positive thinking for next time! ), but in general, I feel really good about the appointment. I LOVED the separate, private room. I LOVED the dental hygienist and the dentist. And I LOVED the overall experience and the fact that Mason will now know what to expect next time. I know what I need to do to prepare him better in the future and I have a very positive outlook on the fact that next time will be better. I am so thankful for the person who recommended this dentist to me and if anyone lives in my area, I would gladly pass on the recommendation to you as well! It sounds like you guys picked the right dentist. :) Even with a few ups & downs, you made it through! What a fun, kind dentist! We haven't taken our Mason yet. I hope we can find out like yours. On a side note, we have to hold Mase down to get him to take any kind of medicine. It looks like a great pick! Things will settle eventually. Aria wanted nothing to do with the dentist and hygenist. She likes prep too and I just totally overlooked it with the dentist. Connor did so well with the dentist but this last time was a hot damn mess. He just didn't want to do it and we didn't have the hygienist he was used to and that I loved. Okay first of all that is like the coolest dentist office ever and secondly Emily has never been a fan of the dentist too.... which is why I have put off scheduling their appt's for FAR to long. I really should do that today. What a great dentist office. We have a really great pediatric dentist too. On both of the kids firsts visits the dentist actually did the cleaning, which was great. The first time I had to hold Mini Fox down too, and the second time the hygienist was super nice, it has been 6 months, long enough for her to forget, and the brush thing to do the cleaning...well he was showing her how it didn't hurt and put it on her fingernail and then she wanted each fingernail brushed, he was super patient, which was great, and then she did great and didn't cry and no holding down! Hope next appointment goes slightly better. I was actually excited when I saw the title, because my brother-in-law is autistic and I knew this would not be your average first trip to the dentist story. You didn't disappoint. You got through it! I'm glad you found a dental office that was so understanding. We have an Elmo book somewhere that's about him taking a trip to the dentist, and it gives a pretty good picture of what they do. On Wesley's first trip this past year they didn't really try to do much, and I was glad about it. They did a little checking, brushing, and counting teeth, and he got to pick out a toothbrush (Disney Princess, of course ;)). Henry freaking loves the dentist because of the prize box. It's crazy what a little sticky hand or some trinket can do to motivate a kid. Hopefully next time will be a little better, but at least you got a start! Whew - got the first time out of the way!! :) Sounds like a great dentist/office to work with you..!! I'm sure it will get better in the future, both with age and just experiencing it. That is hard to watch your little one cry, but know you ARE doing what's best for him. Before we take Tys we pretend/play dentist at home while/after brushing. We be the dentist and talk about the chair and ask him to open his mouth wide, and we count his teeth, and ask him questions. Just be silly, but kind of preparing for what's coming and give encouragement. That's about how our dentist visits go too. They had Despicable Me on last time which I'm pretty sure is the only reason he didn't freak out altogether. Hopefully it will get a little easier each time. Sounds like you found an awesome place! It sounds like you picked the right dentist and are doing all the right things for Mason!!! Way to go mama!! The good news is you guys made it and it sounds like you found an awesome dentist for Mason. I'm sure it'll get easier every time! Even thought the appt didn't go as planned, it sounds like you made a really good choice with dentist. Pediatric dentist offices are so cool - the one I grew up going to had a huge fish tank and TVs on the ceiling too. I wish my dentist now had that! The good thing about dentists is that they are used to kids! Ours used to say that they liked when Zachary cried because they could see his teeth! Now, Zachary doesn't cry anymore! 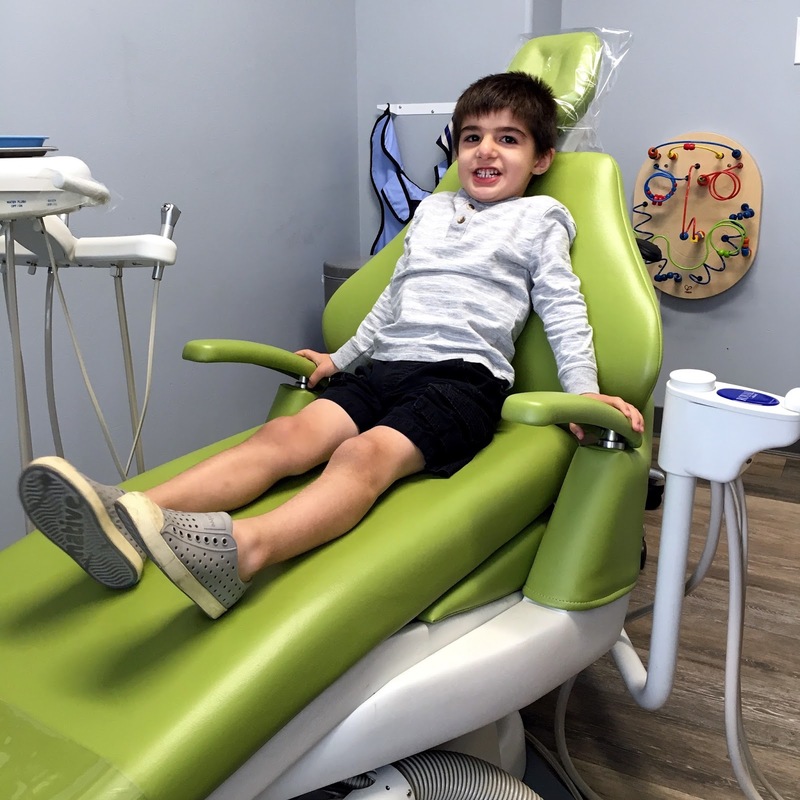 Your dentist sounds amazing, and just perfect for Mason! Finding a good peds dentist is so important! And, it totally sounds like Mason did a good job for his first visit. Dentists are scary, even if you DO know what's going one! Side note: There is kids toothpaste with fluoride! We have a tube for Marcus that has Cars on it, and he thinks it's so cool. And, right on the tube it says it's totally safe for kids if they swallow it (which Marcus does every. single. time). It sounds like everything went pretty good to me- both Kinsey and Brielana pretty much had that same experience; tears, being held down and mom being stressed OUT. My thinking is no one really enjoys the dentist, so don't be too hard on yourself :) Also I dont know what those wire bead things are called but you totally described them perfectly, ha! I'm sorry it was so stressful but it does sound like a great place! Your dentist sounds amazing, even if the visit wasn't ideal. My MIL worked at a regular dentist and I was feeling the pressure to take him there. But I'm so glad we opted for a pediatric dentist. They are so good with kids and their offices are just perfect for helping them ease into the whole process. So so many kids do not like the dentist (myself included); it's a scary place! But it sounds like your dentist office has the perfect set up for Mason! I'm sure with each visit it will only get better & better! So glad you found a place that is so awesome and understanding of his needs! Sounds like you picked the right place. We've been those parents holding the child down before (strep swab/test). 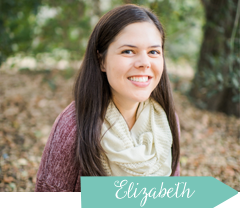 Weekending + a $50 PayPal Giveaway! [Boy Mom Box Swap] The Goods!